At present longzhong LZ series of fine sand washing machines have met the most demands of large and medium-sized silica sand washer plant and have applied more extensively in domestic and abroad. 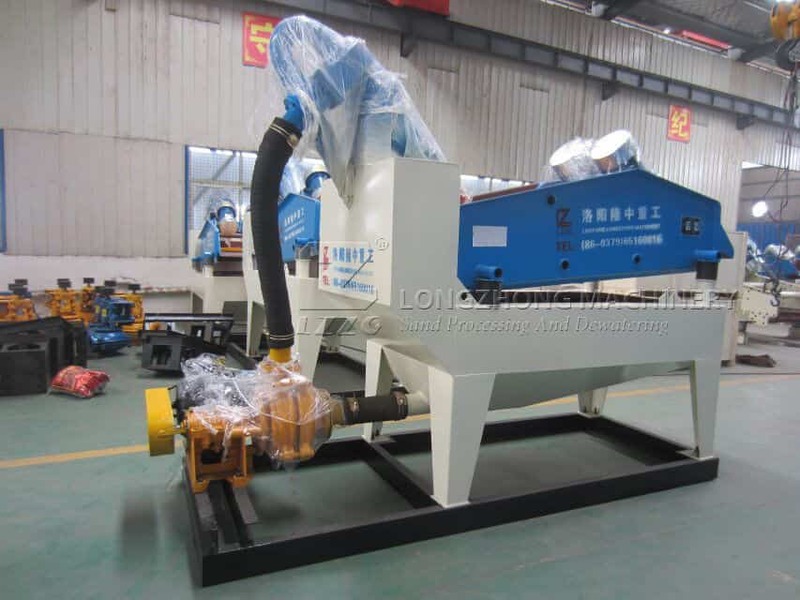 There are two valuable cases about longzhong LZ fine sand washer. One: river sand washer plant in Guangxi; the river sand washer plant purchased three longhzong LZ fine sand washing machines to process and recycle the two sections of river sand. The river sand washers have been good effect and kept the running state, highly efficiency and output since the machines has been used for two years. The final products are popular in the market. They are thinking to have a cooperation again now. Two: river sand washing production line in Hebei; recommended by friends, river sand washer plant in Hebei purchased several silica sand process machines. LZZG is fully responsible for the installation and debugging of the machines. The river sand washers has created many profits in three years and the customers in Hebei is satisfied. What are the production of the longzhong LZ new fine sand washing machines? In general, its output will be keep between 10t/h and 300t/h, but can be improved in some special circumstances. Previous：What are the factors that affect the output of dewatering sieve? Next：What are the requirements of settling pond?